Cloud-based communications and collaboration that make everyday meetings and interactions easier than ever. Connect your business communications in the cloud with MiCloud Connect. MiCloud Connect collaboration turns conference calls into online meetings with messaging, web sharing and video. 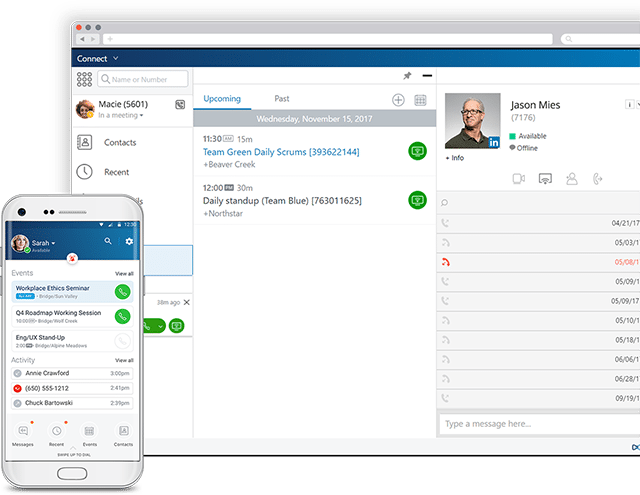 MiCloud Connect nurtures more profitable customer relationships by phone, chat, and integrated email. MiCloud Connect Global Numbers can provide multi-national organizations a local presence in multiple countries. 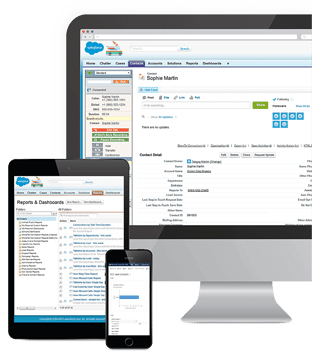 MiCloud Connect advanced apps and integrations maximize the value of your CRM, ERP, and other applications. Put more power behind every customer touch point with cloud phone services that integrate with popular productivity apps like Saleforce®, ACT!® and Microsoft Dynamics®. Embedded calling features, integrated call and customer histories help provide a more holistic picture of business performance while making interactions easier for employees and customers alike.